When your bed faces a wall, the view never changes. Which is precisely why Avalon's beds, unlike other cruise lines, face a window. * Because Avalon thinks letting you see the incredible views that river cruising is famous for, is a darned good idea. And if Avalon put that much attention into a bed, imagine what they’ve done for the rest of your experience. From the first bite to the last "Mmmm," Avalon gives you lots of choices when it comes to dining. And because they start with fresh, quality local ingredients, delectable recipes and expert chefs, you’ll look forward to each meal the same way you look forward to each port. You pick the time, the place and the tastes you are craving, and they'll deliver dining perfection every time. And, while Avalon cruises have always provided a selection of nutritious, delicious recipes, in 2018, they’re really raising the bar with Avalon FreshSM. Experience all that Avalon has to offer in exotic locations like Southeast Asia, China, the Galápagos Island, Egypt or the Peruvian Amazon. 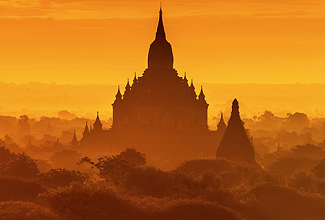 A journey on one of Asia’s great rivers, Yangtze, Mekong, or Irrawaddy, offers a tapestry of fascinating sights, colorful cultures, and ancient traditions. In South America you may embark down one of the world's vastly unexplored regions, the mighty Amazon, or explore the home of some of the world's most fascinating animal life in the Galápagos Island. 30% more space makes you feel 100% more comfortable. Over 80% of Avalon staterooms in their Suite Ships® are 200-square foot Panorama Suites, 30% larger than the average stateroom. 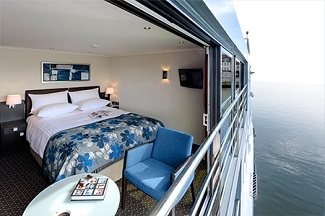 And at 172 square feet, their Deluxe Staterooms are still spacious, comfortable, and quiet (thank you, sound insulation!). Avalon Measures In Smiles, Not Stars. Avalon would rather have smiles on their guests' faces than white gloves on their crew. Their focus on board is to ensure each guest is comfortable and relaxed, leaving the pomp and circumstance to others. It’s service that you'll find is in perfect balance with the warm, inviting spaces throughout your Avalon ship. When it comes to the little touches, Avalon thinks big-like L'Occitane® products atop your bathroom's marble countertop and a well-stocked library in the espresso lounge. Included wine with dinner is nice. The fact that it's from the same region as the view outside your window is even nicer. That's the kind of attention they put into every detail. With Avalon Choice® you choose your dining experience morning, noon, and night on their Suite Ships®. Up early or prefer to sleep in? No problem. Avalon's Early and Late-Riser Continental breakfasts ensure you're off to a great start. Whether it's surrounded by breathtaking panoramic views in the Main Dining Room, an al fresco lunch at the Sky Bistro (weather permitting), or a casual light lunch or dinner in the Panorama Bistro, the choice is yours. And they never charge extra for these alternatives. From a five-course welcome dinner to special "tastings," Avalon's onboard culinary events will truly enhance your cruise experience. Nothing reveals the heart of a destination like its food, so Avalon offers a delicious selection of local recipes for you to sample-with an included regional wine paired with each onboard dinner.